I started blogging almost one year ago. My, how tempus fugit. My 10th post was viewed by a whopping nine of my undying fans, had three “likes,” and two comments (thank you Tess and Russel). Man, I was on fire with that one! Back by unpopular demand, I am sharing it again. Not long after I bought my iPhone, my daughter send me a text to say she received a B+ on a college paper she toiled over. If I recall, the prompt for the essay was asinine and about as clear as a foggy day in London. But that’s not the point here. So . . . the point here is autocorrect is both a blessing and excrement. Be careful out there. Sorry, honey! I really WAS proud of you! However, brilliance aside, I’ve been thinking. A dangerous pastime, I know. How is it that typos sneak into our work when we aren’t looking? I’ve read my manuscript a good 30 or 40 thousand times. One would think it would be squeaky-clean and typo-free, right? No-siree-bob! Each set of fresh eyes (thank you beta readers) that gaze upon my manuscript and mist over because of the powerful writing, still have the clarity of mind to spot another cheeky typo. Or, as I like to call them, sneaky buggers. I stopped buy the store to by a dictionary. They need to made spellcheck foolproof. 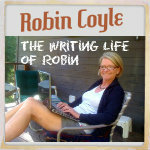 I love you blog, Robin. Write profound or amusing comment. Proofread profound or idiotic comment. Scream “&)^#! *%$^&*” after spotting a typo. Write second comment apologizing for said typo. Rather than suffering from future humiliating “comment typo apologies,” I apologize to you in advance for comment missteps on my part. Eons ago, when I was in my twenties, I was a secretary for a pharmaceutical company. I typed up a clinical trial report using a stone slab and chisel. Throughout the report I typed “reslut” instead of “result.” I’m surprised I wasn’t fired. But here is a typo I can’t forgive. 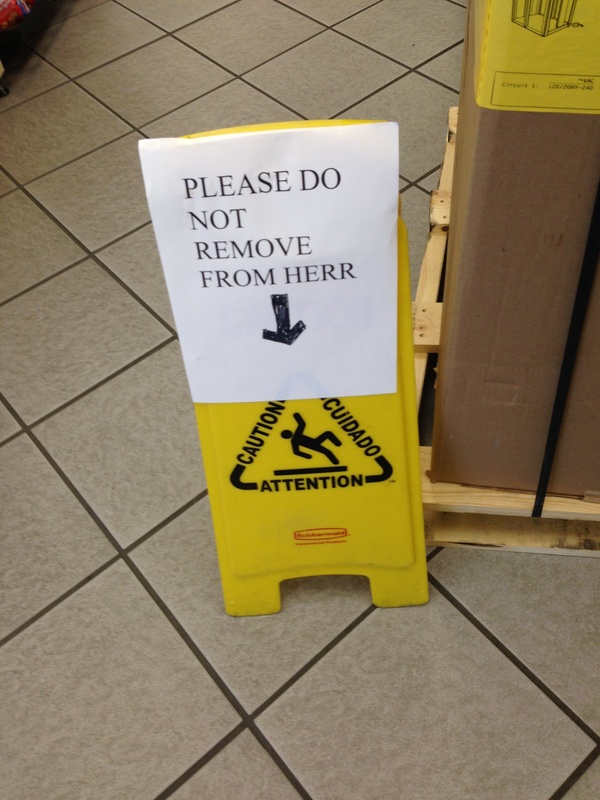 I took this photo at a convenience store where the sign has been proudly displayed for weeks. How did they miss the typo? P.S. Gosh, if there is a typo in this post, will you gently wring my neck?